Weekly visits with a shrink used to be the popular strategy for getting a grip on your life. But these days, as the mind-body connection resonates more and more, health coaches are becoming the ally du jour for overhauling your body, your health, and your life. In addition to being trained in health behavior change, health coaches have backgrounds in various wellness practices—from nutrition and yoga to weight loss and meditation. And they’re popping up everywhere, from local spas to doctor’s offices. “A health coach is a new type of health professional who acts as the bridge between the medical recommendations that someone has received from a doctor or nutritionist and what’s actually necessary to make that happen,” explains Dr. Shelley Wroth. She’s a physician and integrative health coach who teaches at Duke’s Integrative Health Coaching program. Health coaching has come into popularity in the past few years, and Dr. Wroth believes it’s naturally grown out of cognitive behavioral therapy and life coaching. All of these disciplines have one goal: to effect positive behavioral change. But change is hard, something that health coaches know all too well. That’s one reason New Year’s resolutions usually fall by the wayside by the end of January. But health coaches take that into account, helping you plan for setbacks and figure out how to overcome them. “Making the changes necessary to support your health can be challenging, but making them last can be even more difficult,” adds Laura Kraber. She’s one of the health coaches that work with integrative physician Dr. Frank Lipman at his Eleven Eleven Wellness Center. Dr. Lipman prescribes a variety of treatments for his patients, including dietary changes, stress management techniques, and physical therapy. “A health coach can help you deal with quality-of-life issues such as weight loss and stress management techniques to help you reach your goals. This in-depth support has empowered many of Dr. Lipman’s patients to make lasting changes,” Laura tells us. If you’re trying to lose weight, for example, a health coach will help you design a personalized plan. “Not one that focuses on calories, but one that helps you eat more nutrient-dense and less inflammatory foods,” Laura says. Whether your reason for speaking with a health coach is to find relief with a disorder or illness or to improve your overall quality of life (by improving stress management, for example), your coach’s primary goal is to help you make positive changes stick. There are no national standards or licensing for health coaches—yet. That means that right now, there are no guidelines on how much training (or what kind of training) a health coach needs to have. “It’s somewhat like the Wild West out there right now,” Dr. Wroth admits. But she does mention that there’s currently a team of experts working to create appropriate standards. Until those standards are in place, look for a health coach affiliated with a top doctor like Dr. Lipman. Or seek out a coach certified by a top program like Duke, the Maryland University of Integrative Health (which offers a Masters in Health and Wellness Coaching), or the University of Minnesota, which has a Master’s-level Integrative Health and Wellbeing Coaching program. As for the sessions, they’ll be tailored to your own needs and schedule. Sessions range in price depending on where you go: Eleven Eleven Wellness charges $150 for a 50-minute session and $750 for six visits or calls. Dr. Wroth recommends at least a 12-week commitment. She suggests weekly or biweekly sessions at the start, followed by month-to-month renewals. That gives you the opportunity to learn from your coach, take action, and ensure you stick to it. When it comes to getting your New Year’s resolutions to stick, a health coach just may be the most effective way to ensure you stay on track—for the long haul. This is how the mind-body connection can reverse aging. 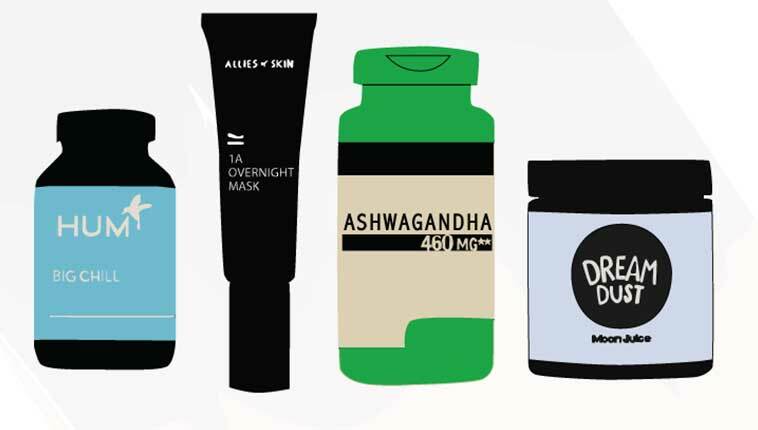 Plus, a health coach gives us a guide to an Ayurvedic winter. Valerie Latona, the former editor-in-chief of Shape, is a healthy living writer, editor, and blogger living outside New York City. She's worked as an editor for numerous publications including Allure and Harper's Bazaar.